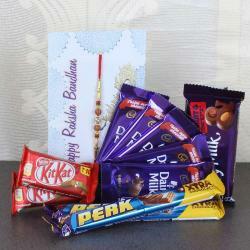 Single Rakhi along with 16 pcs of Ferrero Rocher Chocolate. 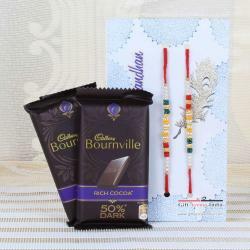 Raksha Bandhan is around the corner of you it should definitely look to treat your brother to some amazing combos and gift packs like this one. 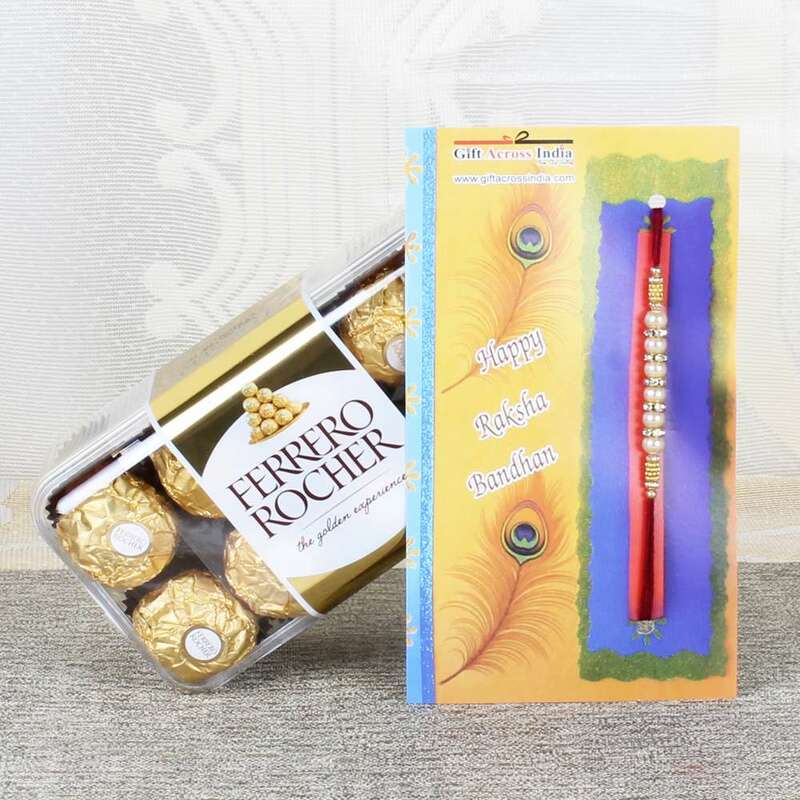 This contains an appealing Rakhi which comes in a combination of multiple bright and attractive colors that will capture your brother attention in a jiffy. This also comes with Roli Chawal for the perfect mixture of festivity and tradition. 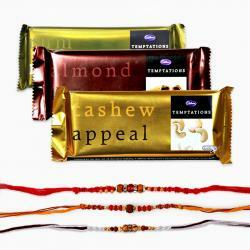 Your brother has a sweet tooth, this is the perfect combo for him on Raksha Bandhan. 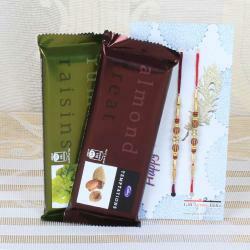 This beautiful Rakhi Combo includes : Single Rakhi and 16 pcs of Ferrero Rocher Chocolate.